*Easy to play and easy combos that do high damage. 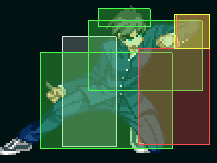 *Good normals for air footsies. *Solid, even if linear, pressure. 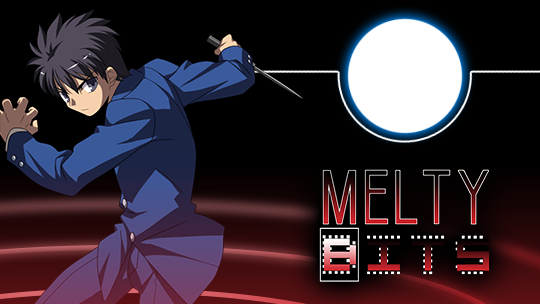 *No fast lows so throw/hit is the only mixup. Outspace the opponent with long ranged moves and prevent jumpins with anti-airs. 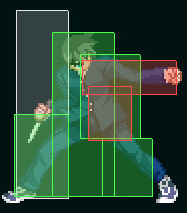 *j.B- 6 frames startup, active for 7 frames and great downward hitbox. *j.C- Good horizontal range, for air to air and far ranged air to ground. *A blocked air to ground j.B or j.C is a common way to start offense. After a blocked j.C you have enough time to dash in and 2A. 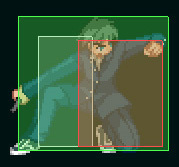 *It’s really easy to dash in and 2A to continue a combo if the jump-ins net a counter hit. *5A very fast to whiff, can be used to beat low air dashes or to pick off opponents from the air. 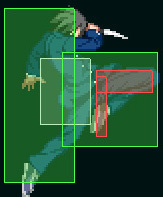 *2B can be used as anti-air against certain jump-ins. *6B a really good anti-air. 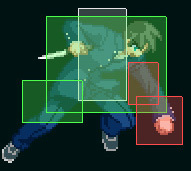 *Pickup after air counter hits or raw air throw with 5B -> 5C -> air combo. *Or alternatively you can do 2C 214B 2[C] 2[C] for 1000 less damage but gives lets you try some wacky air dash side switching okizeme. *236A a general poking tool that covers a lot of the screen. Reaches far horizontally and also zones the skies. The A version is fast to recover and pretty safe to whiff. The forward momentum of the move makes up for his slow walk speed and forward dash and isn’t good at long ranges. 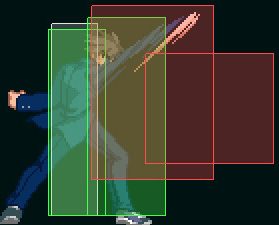 *Backdash repeatedly is really good for spacing. *2C is a far reaching low. 2C 236A is a good safe 2in1 that can also catch back dashes because of its range. *2[C] (charged version) charges pretty fast and reaches even farther. Can be jump canceled on block. *214A/B is a way to advance on the ground while attacking and maintaining low profile. 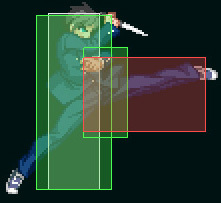 Grants a combo on hit, but punishable if used too close. If you screw up with the spacing (which should happen rarely if at all), cancel into 236C for safety. Once you manage to get to point blank range you can start pressuring with elbows. *2A- The first elbow. 4 frame startup +3 on block, good for rushing down with rapid fire, has more range than 5A, and is your main pressure tool. On hit you can confirm into a combo like 2A2A 5B 2B 5C etc. etc. *5A- The second elbow. Whiffs on crouchers but fast enough to frame trap. This means that 2A5A will catch jumpers while still maintaining momentum against crouch blocking. *5B has decent range, when 2A can’t reach, and chains to 2B. *2B- The third elbow. +2 on block. *6B is very good to catch jumpers. *The main blockstring is 2A x n, 5B 2B 6B 5C/2C special. *Each hit in the chain can be delayed to create a fake gap. Especially good after 2A and 2B since they provide +frames on block. 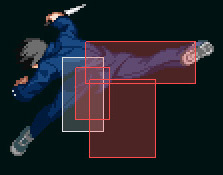 *The fear of the fake gaps will allow to reset pressure with dash 2A, or instant air dash j.B or j.A, since F-Tohno’s instant air dash is like a short hop from King of Fighters. *Mixing 2[C] in unpredictable places within the chain will allow for a jump canceled instant air dash to reset the pressure. *Instead of dash 2A you can get some damage with dash throw. 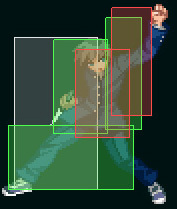 Throw is the main mixup tool since F-Tohno has no fast lows. 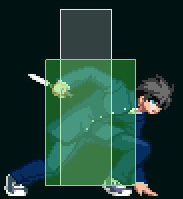 Luckily, as always with Shiki, the throw is damaging and causes hard knockdown so it’s passable as the sole mixup. *Use the throw option select. Done by holding forward and pressing A->E at a specific fast timing. If the opponent crouched the elbow it will be whiff canceled into a throw. If the opponent stands or tried to jump away, the game sees this as 5A5A which you can easily confirm and convert from. *Using 236A at any point will allow you to disengage safely, if that’s what you prefer. 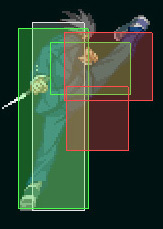 *After a blockstring in the corner ending with 2C you can cancel into 22A to catch retaliation. Leads to 5B 5C air combo if it hits, and safe when blocked because of how it’s spaced, utilizing the pushback from the blocked 2C. You can try to extend further by mixing slightly charged 22A with 22BD (you need to time the D based on the range) that will put you close to the opponent for a throw or a 2A. You can also 22B~fast D or 22D to fake and bait reversals. *At midscreen just use back dashes smartly to create space.